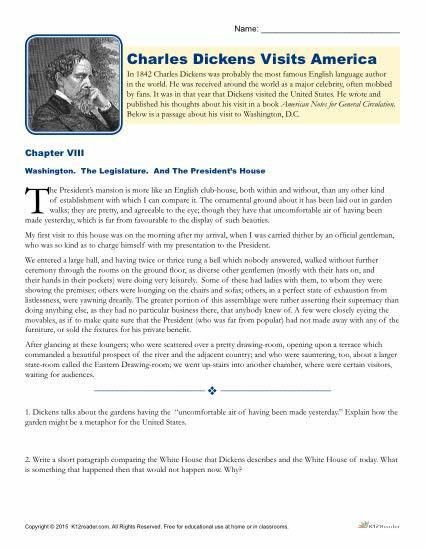 Students pratice their reading comprehension and writing skills with this Charles Dickens printable worksheet! This activity asks students to read a passage and write an explanation and paragraph answering the two questions provided on the worksheet. This helpful activity is ideal for grades 8-12.